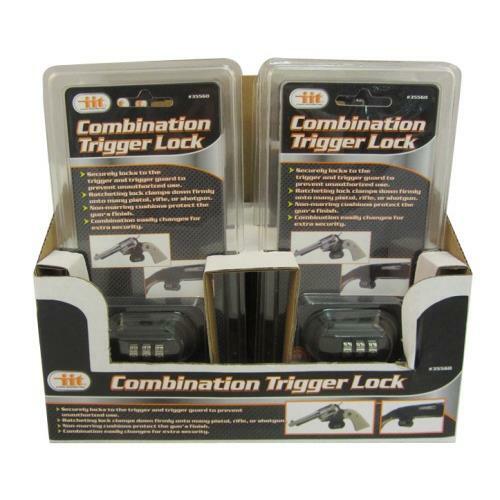 Securely locks to the trigger and trigger guard to prevent unauthorized use. Ratcheting lock clamps down firmly onto many pistol, rifle, or shotgun. Non-marring cushions protect the gun's finish. 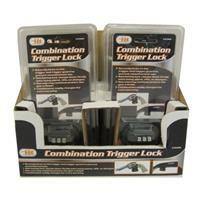 Combination easily changes for extra security. 18.11" x 19.69" x 9.45"